One last CAS card for the day! Time to pack it in and go make some supper. This card is also entered into the CAS-ual Fridays challenge where the theme as mentioned in the two previous posts is wallpaper. I am having too much fun creating backgrounds. Cardstock is from my scrap bin (some is Gina K including card base). The sentiment stamps are Paper Smooches, ink is Memento and dies are a chevron Dienamics die from MFT. The gems are CTMH. Thanks for stopping in. Enjoy the rest of your weekend. Fab CAS card and love the colours. This is totally fun! Love that you did this with cardstock strips! Thanks so much for joining us over at CAS-ual Fridays Challenges! 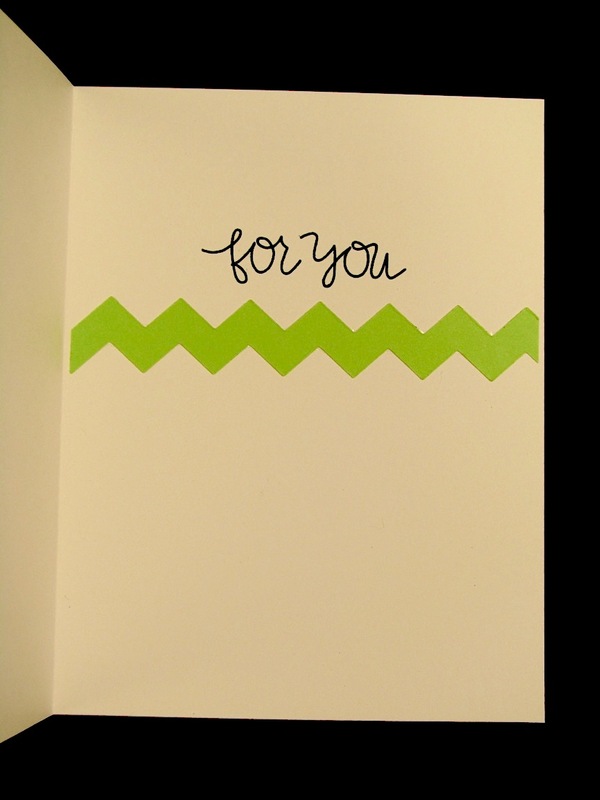 Wonderful card!love that Chevron die you have used..must get one myself! Thanks for joining us CAS-ual Fridays this week. Such a bright cheerful card. Love your chevron strips. Thanks for stopping by my blog and becoming a Follower. I'm also now following you. I am a chevron fanatic!!! Love this CAS card, beautiful!!! I am coming from outlawz, I can't wait to see what else you will create, nice to meet you! Thanks so much for your sweet comments on my blog. I am now your latest follower and look forward to your future creations! Wow...that looks incredible! This would look great either as is or as a background to another focal image...well done! Thank you for following my blog...I am now your newest follower! Your card is beautiful Katherine. Very Springy looking and so versatile. Love it.. Thank you for stopping by my blog!!! I joined your blog also.. Looking forward to seeing more of your beautiful designs.